Mental health can affect anyone at any time and in fact, one in four of us will have problems with our mental health at some point in our lives. You don’t have to struggle through it alone, there is a wealth of information and support services available to you during this difficult time. If you need to talk to someone right away, the Samaritans helpline is available 24 hours a day 365 days a year, for people who want to talk in confidence. Your local Clinical Commissioning Group (CCG) has launched a new range of mental health self-help guides which are available online or to download as an app. You can download the app for free by searching for South Cheshire CCG & Vale Royal CCG Self-help Guides in the Apple App Store or Google Play. 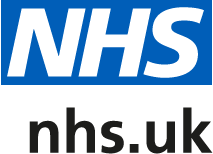 NHS Choices has a huge range of information on mental health support, including MoodZone, a directory of mental health helplines and a Mood self-assessment tool. If you’ve had thoughts of self-harming or are feeling suicidal, contact someone you can trust immediately, such as your GP, or a friend or relative.